Streams high-definition content from the new Apple TV®, Amazon fireTV™, Nexus™ Player or Roku® to an HDTV, 4K monitor, or projector with surround sound audio support. 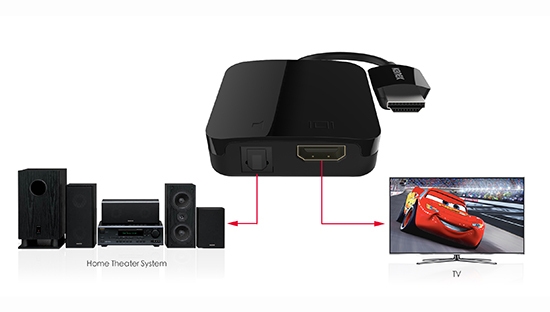 The HDMI® AV Digital Adapter allows you to stream HD content from your new Apple TV directly to your home theater system via HDMI with pristine sound radiating from your optical audio or 3.5mm audio port. Now you can listen to your favorite music, podcasts, T.V. shows, and radio apps with your existing home theater sound system or sound bar. Connect directly via standard digital optical or 3.5mm audio port. 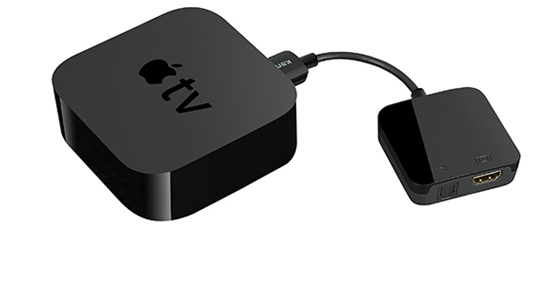 Compatible with new Apple TV®, Amazon fireTV™, Nexus™ Player, and Roku®. 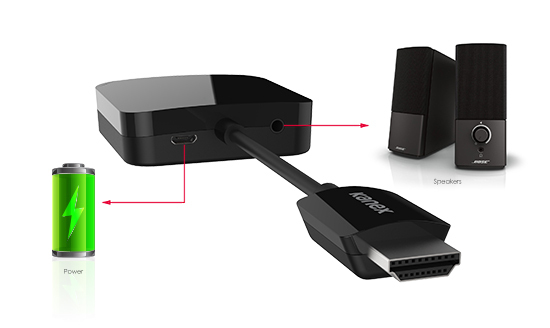 The HDMI® AV Digital Adapter allows an HDMI® TV, Monitor, Projector, or Display to utilize Apple AirPlay® mirroring from an iPad® to the new Apple TV®, so you can take advantage of the latest technology. Enhance presentations and educational iLearning experiences. Micro-USB Charging Cable – 4 ft. / 1.2 m.
*The optical audio only works with the Amazon fireTV when the 3.5mm audio jack is plugged into the adapter simultaneously. All audio will be lost if the 3.5mm audio jack is disconnected.